Bumpercise and Aquatots is a Histon based organisation that provides antanatal exercise and Aquanatal classes, baby swimming lessons and Buggy Fit and postnatal exercise classes. 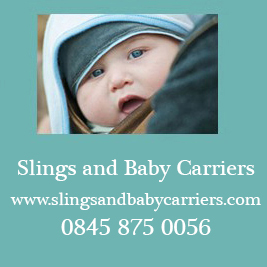 The Cambridge Sling Library and Ely Sling Library loan out slings & carriers and give free advice on using them. Jane Miller is a reflexologist, midwife and nurse who runs her own reflexology practice. She can offer reflexology during pregnancy and Baby Reflex, a specialised form of reflexology for babies aged from 6 weeks to 2 years. The School of Babywearing is a social enterprise providing information about slings and baby carriers and offering training for people wishing to become Babywearing Peer Supporters or Babywearing Consultants. Slings & Baby Carriers is an online shop selling slings and baby carriers. Nutritionist Resource (http://www.nutritionist-resource.org.uk/) has lots of articles and advice regarding pre-natal and infant nutrition.